Some of the most powerful triggers that cause trouble for a person fighting alcoholism are seemingly small. It’s easy to overlook them, but if we are aware of these triggers, we can prepare for them and avoid them. Drinking brings with it an entire lifestyle. Coworkers getting together after work, drinks on a date, birthday celebrations, popping open champagne on New Year’s. 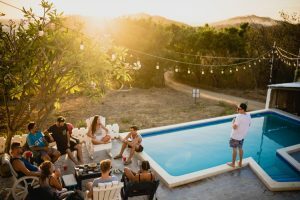 Depending on your culture, there can be a lot of elements of life that include or are based around alcohol that it makes it really hard to escape. It is really important to surround yourself with people who understand that you are trying to find healthier alternatives to this aspect of your social life. Until you’ve been sober for a really long time, it can be really challenging to be out with a group of friends when they’re drinking and you’re not. But if you are with other people and no one’s drinking, the challenge is much easier. The human brain works in a weird way. We store associated memories together. That’s why if you’re listening to a song while you’re cooking, the next time you cook you might get that same song stuck in your head. When you go to places that you were accustomed to drinking or smoking, your brain is going to assume you want to do those things again and put pressure on you. One thing you can do is to mix it up and find new venues and go to some new places that you don’t have those instincts for. When you see people who have successfully dealt with their alcohol addiction, often you’ll see a bottle of water in their hand. Partially this is due to the instinct to be drinking, but partially it’s because many people just feel like their hand is empty when they’re not drinking. Something as little as a bottle of water can be part of a solution to ground themselves and fight against relapse. When if you get sober, it’s important to build a plan to avoid relapse. If you’re in Florida and you are ready to learn more about alcohol detox, call us today at 866.319.6126.